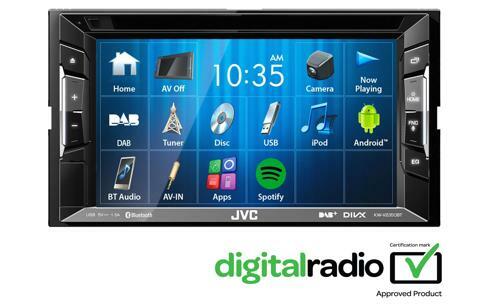 DAB Radio, Bluetooth car stereo KW-V235DBT • JVC U.K. 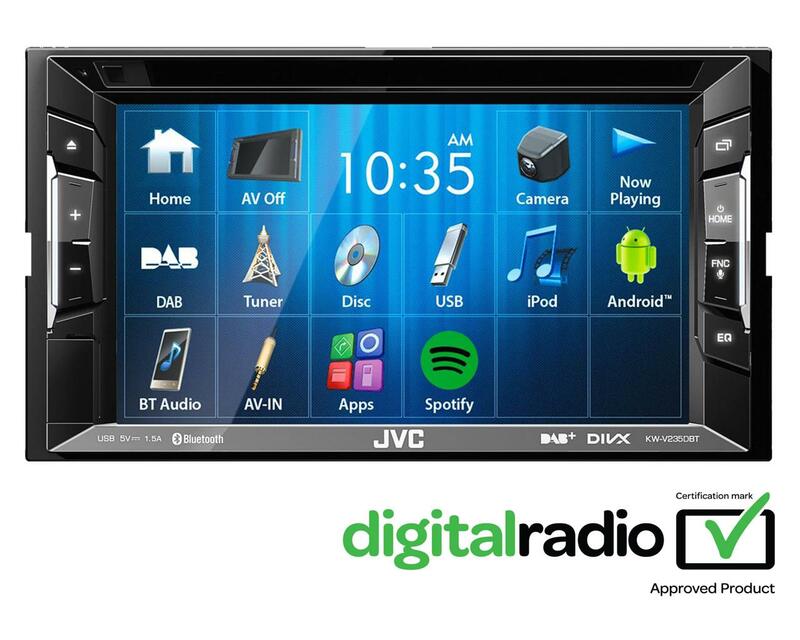 Ideal for latest vehicles with double height car stereo dashboard space. 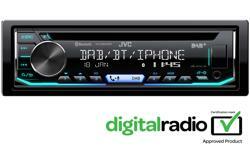 This DAB radio KW-V235DBT includes hands free and Bluetooth streaming, iPhone /android direct connection via USB.